Click here to check out the Ford Credit Lease Estimator Tool. There are two types of vehicle leases. See below for more information on each type of lease. Boiled down to basics, a Trac(open-end) lease is similar to purchasing with a balloon note funding arrangement. The difference is that while you guarantee the market value at lease termination, our job is to get the highest resale value at termination. We help you select the right vehicle, options, colors, resale cycles, etc. to maximize the sale value and lower the cost of depreciation. Under a finance lease, in reality you are buying specialized services from experienced professionals. Listed below and explained more fully on the following pages are the primary considerations of a finance lease. 1. Purchasing and Capitalization: The dealer invoice cost is the same to all dealers. The exact amount will vary depending on the specific car because each have different market values. How the purchase is made (ie: order-out, stock purchase, or dropship) dictates the actual purchase price. Lessor “markups” generally reflect the lessor policy rather than the actual purchase price. John Vance Fleet Services is the dealership and therefore we can purchase cars more economically than most leasing companies. Often the best cars do not always have the lowest beginning cost. 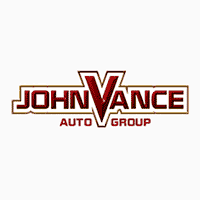 In order to assure the best price is procured for our customer, John Vance Fleet Services will price out the selected vehicle and equipment down to a cost of factory invoice minus any fleet incentives, national and local advertising credits, special incentives, package discounts and any other reductions in cost that are then available (or could possibly be offered by the manufacturers). John Vance Fleet Service will assist its customers in determining what vehicles should appear on their Vehicle Selector List that will provide the highest level of serviceability at the lowest NET cost. We will recommend a lease term that best reflects your driver’s historical mileage and territory, as well as the time of the year to take delivery of a new vehicle and terminate the old one. In other words we truly assist the company fleet managers in MANAGING their fleets, balancing circumstances for the lowest possible cost at the highest possible value. 2. Titling, Registration, and Registration Renewals: Initial titling and licensing are normally accomplished by the delivering dealership. In some states the vehicle operator is required to physically accomplish registration because of local tax and/or registration laws. License (registration) renewals too are governed by local laws. Some renewals are accomplished simply and directly by the leasing company. In most cases renewals are handled by the drivers with the assistance of John Vance Fleet Services. No problem. However, dealing with governmental bodies can cause problems. New laws and technicalities arise frequently. This is where personal service makes the difference. We deal with your driver and your problem now, on a first name basis, with a sense of your urgency. This is where Fleet Services can save you money. There are no additions to the normal fees imposed by the licensing body to cover administrative costs. Service is our only business. We don’t have any “routine” problems. 3. Used Vehicle Disposition: The final net cost of a finance (open end) lease is not known until the used vehicle is sold. Regardless of what anyone tells you, there is no best way to sell a used vehicle. There are many ways. We use them all. Most important, however is our ability and willingness to sell each vehicle individually. To let it stand on its own. Your company benefits by receiving higher resale values for vehicles in better return condition, and we will help you manage the vehicles for top condition. We take special pride in our ability to dispose of used vehicles promptly, usually within 30 days. Following are the primary methods used to sell used vehicles. Nominal charges may be incurred to defray some of the expense of selling the used vehicle. However, John Vance Fleet Services will recycle the vehicle at the highest possible resale value. Reconditioning: Some leasing companies put great emphasis on their ability to recondition a car to improve your net. The fact is that reconditioning is not always advantageous. Some cars we recondition, some we don’t. This goes back to our belief in selling vehicles one at a time. Many cars are brought back and/or sold at our Guthrie, OK office when we believe the market here would yield a higher resale value. Selling used cars is an art, not a science! 4. The Lease Rate (Rental): Every finance lease rate (rental if you wish) is composed of: Depreciation The amount built into each payment will reflect a projected residual value that relates more accurately to the actual vehicle make and model, mileage, use, model year cycle and equipment. We use the computerized, “dollar value” Automotive Lease Guide (ALG), deduct for excess mileage and downside that figure by a mutually agreed upon amount. The cost of money Based on the prevailing Prime Interest rate, at time of delivery, plus a markup, the lease fee portion is calculated on either a step-down (irregular) or level-line (regular) payment schedule. This is not to be considered a commercial loan type of transaction. The lease fee covers many other services than just the financing of a vehicle acquisition. Other Monthly Fees NONE! There are no other lease fees in our base lease rates. These parts are added together for the total monthly rental. Tax, if applicable, is added to the rental. While discussions usually focus on the various fixed costs in a lease payment, the largest and perhaps most important portion of the payment really is variable—the cost of depreciation. It is the one component that an experienced lessor can help customers find ways to significantly reduce. (i.e. properly matched drivers and vehicles, selection process/plan, time of year for deliveries, timing of recycling, accessories, colors, taking timely advantage of all available factory fleet discounts, rebates, packages, and more) Experienced lessees know that in the final analysis many other factors are much more important than just a base rental payment fees. 5. Miscellaneous Services: It is impossible to list all of the things that might need specialized attention, but we will list a couple of things that may be of concern to you. Every new vehicle is covered by various manufacturer warranties. In most cases warranty questions are routine and simple. But sometimes they aren’t. That’s when you need a fleet service company that is large enough to help you and small enough to want to. That’s us. The prompt forwarding of recalls will on occasion be a matter of driver safety. We forward all recalls immediately, usually on the same day we receive them, and we keep a record of what has been sent where. Under the lease all law violations are at your expense. We will handle all violation notices quickly, usually on the same day, to help prevent fines and penalties from adding up. Notices can be mailed to your driver, to you directly, or we will pay them immediately and bill you. Whatever suits you best. John Vance Fleet Services can provided several levels of additional management services if requested. These range from basic record keeping to a total fleet management program. They always come up, and when they do, we will be ready and able to assist you promptly. Under a net (closed-end) lease you get the vehicle, over a certain number of months, with some kind of mileage limit and used vehicle condition limitations, for a fixed rate. In most cases a net lease will cost more than a finance lease because the leasing company is taking more risks. However, if you want the security of a relatively guaranteed cost, the net lease will meet your needs. Keep in mind that the more risks assumed by the leasing company, the more must be charged to cover the occasional extraordinary circumstance. Listed below and explained more fully on the following pages are the primary considerations of a net lease. 1. Titling, Registration, and Registration Renewals: Initial titling and licensing are normally accomplished by the delivering dealership. In some states the vehicle operator is required to physically accomplish registration because of local tax and/or registration laws. License (registration) renewals too are governed by local laws. Some renewals are accomplished simply and directly by the leasing company. In most cases renewals are handled by the drivers with the assistance of John Vance Fleet Services. No problem. However, dealing with governmental bodies can cause problems. New laws and technicalities arise frequently. This is where personal service makes the difference. We deal with your driver and your problem now, on a first name basis, with a sense of your urgency. This is where John Vance Fleet Services can save you money. There are no additions to the normal fees imposed by the licensing body to cover administrative costs. Service is our only business. We don’t have any “routine” problems. 2. The Lease Rate: In leasing terminology, a net or closed end lease means that the user (lessee) does not participate in the gain or loss on the sale of the used vehicle. Other things, such as title and license, may be included in the “net” rate. In theory the user pays a flat monthly fee as long as he is leasing the vehicle. The lessee must exercise caution in evaluating a net lease, however. A better name for the lease would be “relatively net”, because there are some contingencies which are explained as “Limitations”. 3. Limitations: No lease is pure net. There are always realistic limitations for the things the leasing company cannot control. These limitations will vary depending on the specific fleet, and usually are as follows: Term Vehicles depreciate by model year. The term is usually established by months. You can lower your lease rate if you coordinate with the leasing company as to a realistic term and when you put vehicles into service. Mileage Coupled with the term is mileage. In consultation with your leasing company you must determine how long you want to keep a car in service, and for how many miles. The secret to the lowest rate is cooperation. Fleet Services will be flexible. Used car condition: Leasing companies have a right to expect that the vehicle they lease will be returned in a normal condition for the term and mileage. There will be a bill-back for abnormalities such as dented fenders, bad tires, torn interior, etc. We can give you a list of what we expect. These items illustrate what we mean by saying that this kind of lease should more properly be termed “relatively net”. We want you to understand this relativity. Then, with your cooperation, you can get a truly net lease from John Vance Fleet Services. 4. Maintenance Options: (Guaranteed & Budgeted) There are two types of Maintenance Options: Guaranteed Maintenance Option Budgeted Maintenance Option In order to decrease your risk exposure, John Vance Fleet Services can provide a maintenance and repair guarantee option. This becomes a fixed part of your lease rate. This type of lease is usually called full, complete, or guaranteed maintenance. The guarantee is meant to apply to all maintenance and repairs unless there has been proven or outright neglect or abuse. However, there are always some restrictions. First of all, the term, mileage, and used car condition restrictions always apply. Other restrictions usually apply specifically to tires and oil. There may be a limit on tires, including snow tires. There may also be a limit on “add oil” as compared to oil changes. Excessive tune-ups, oil changes, tire rotation, tire balancing, and alignments may also become subjects of discussion and compromise. This option is similar to guaranteed maintenance and is a fixed part of your lease rate. At predetermined points, however, the budgeted maintenance and repairs are balanced against the actual maintenance and repairs incurred. Your company is then credited or invoiced for the deviation. This option guarantees the cost to a point, but there is greater responsibility laid on you to make sure your vehicles fit into the cost allowed. The same term, mileage, and used car condition restrictions still apply. Short-Term Rental: We use the services of Enterprise Car Rental which can provide vehicles be rented by the day, week, or month.